We are flooded with communications and a splurge of media is overwhelming our lives. The Social media is ubiquitous, addictive and imperiously intrusive in modern lives. It has fooled us to believe that it is a mode of communication, replacing something as humble and thoughtful as a letter. Communication is two people talking to each other, which is not the case with Social media. It talks at you. The letters, those humble things which arrived with promises and hope in the envelopes carried a little bit of the soul of the writer in them. When the reader read them, ran his or her fingers over the writings with ink smudged due to bad nib, damp weather or tears, we touched the other person. The fact that writing letters took time and effort made it impossible for one not to leave something of oneself on those pages. The letters tell you a lot about the person who wrote them and therefore reading letters of historical figures is a re-discovery of the great minds and souls as thinking, breathing, feeling individuals, long after they are gone. Most letters are an act of vulnerability, a willingness to expose the self. It is therefore, very interesting and charming to read letters of great writers. The Letters of F. Scott Fitzgerald always attracted me, for the writing style is quite divergent for the most part from his literary writing style. But through the objectivity of his letters, makes Scott appear more human, more real to us than we could ever imagine. We take a look at how different aspects of the life of the great creator of masterpieces like The Great Gatsby, Other Side of Midnight, The Beautiful and The Damned, which is unfolded in a collection of epistolary writing, A Life In Letters, edited and put out by Mathew J. Bruccoli. I landed up with this treasure through internet references of his famed letter to his daughter, Scotty, with fatherly advice to his growing daughter, something which Slate correspondent Amanda Hess says keeps on going viral every six months. Apart from the letter to ‘Dear Scotty’, there are several which makes us not only understand Scott Fitzgerald as a writer, but as a father, as a friend and as a husband. These letters fill colors into the persona of the writer, creates several dimensions to Scott Fitzgerald. Letters tell us of the writer’s real interpretation of the world around him and how it reflects into his own life. Nick Carraway of The Great Gatsby holds uncanny resemblance to Scott Fitzgerald, a poor struggling writer, observing the world of decadent prosperity with the objectivity of an outsider, awestruck and wistful, at once, at the lack of soul in the charming and glittering world. When we read Fitzgerald’s letters lamenting his pecuniary troubles, while living in pulsating fast life of Hollywood, we know how he would so artfully and honestly write about it. We understand the honesty of the writer, writing while writhing in enormous pain. The collection of his letters constitutes for a significant part his communications with his editor, Maxwell Perkins, while the latter was working with Charles Scribner’s Sons. Their relationship began with The Romantic Egotist, written during the war, which after initial rejection by Scribner in 1919, finally reached the people as This Side of Paradise on March 26, 1920. In the backdrop euphoric success of the novel, which Fitzgerald called as “a quest novel”, FSF quickly married Zelda, within a week. 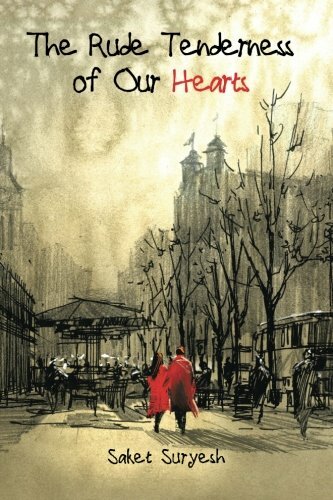 This started a strangely strained relation of love, which was doomed from the beginning but which eventually survived till the very end, one would believe, solely on unflinching romanticism of Fitzgerald. Zelda had one week before the success of the book rejected Scott on account of his poverty and the same seemed to have found its way in Gatsby’s “Rich girls don’t marry poor boys”. He loved Zelda nevertheless as these letters tell us, hopelessly, through her ambitions, her efforts to come out of the shadow of her brilliant husband and bouts of depression. We discover Fitzgerald as a tired, broken man, and an immaculate writer. It is great to find how Perkin’s relationship with Hemingway did not eclipse his relationship with Fitzgerald even at the time when they were at the bitter ends after initial bouts of admiration. 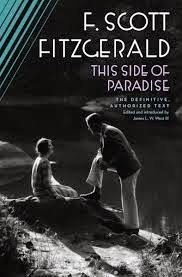 In a world of shifting loyalties, Fitzgerald comes across as a man given to lasting relationship even in professional sphere. His relationships not only his editor, Max Perkins, but also with his Agent Harold Ober, lasted till the end of his short but astonishingly prolific and productive creative life. Scott is a confident writer, having discovered his voice early in his writing life as he writes to Shane Leslie in 1917 “My novel isn’t a novel in verse- it merely shifts rapidly from verse to prose.” It clearly demonstrates the seriousness with which FSF approached his art even at the start of his literary career and he confidently writes to Scribners, “I really believe that no one else could have written so searchingly the story of the youth of our generation..” and even proceeds to write to Shane Leslie “Did you ever notice that remarkable coincidence- Bernard Shaw is 61 yrs old, H. G. Wells is 51, GK Chesterton 41, you’re 31 and I’m 21- All the great authors of the world in arithmetical progression.” – Audaciously optimistic or prophetic? He does falter in his judgment when he writes to his agent and friend for life, Ober in 1922 regarding his play “It is a wonder, I think, and should make a great deal of money.” Of course, the play was bust and did not make any money. His friendship with Max goes deeper as he begins sharing his moments of self-doubt which every writer does as he writes in March 1923, “I doubt if, after all, I’ll ever write anything again worth putting in print.” A self-observant writer, he laments in April 1923 that “I’ve-well, almost deteriorated in the last three years since I finished The Beautiful and The Damned” in letter to Max. He is sad, analytical, and unsparing when he writes further that had he written The Beautiful and The Damned at his current rate of 100 words a day, it would have taken him four years to write it, and sadly mentions “the moral effect the whole chasm” left on him. 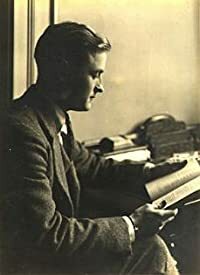 Scott Fitzgerald, a great writer, always in financial difficulty, always in debt, something like the great Urdu Poet, Mirza Ghalib, comes out as a painfully honest man when he writes to Max seeking lower royalty for The Great Gatsby than the earlier book on the ground of compensating for the advances Max had given to him. To be fair to Max, he writes in to FSF, asking if there is some reason to lower royalty. It is this kind of honesty and fairness in professional relationship which forms the foundation of friendship. His fairness even in literary matters is quite evident in the letter written in April 1925 to Willa Carther, referring to the idea which he borrowed from her book A Lost Lady. It takes courage and commitment to honesty and surely trust in one’s own station in literary life which is quite visible here. He writes that he held similar idea for long time but gracefully concedes that his own idea was “neither so clear, nor so beautiful, nor so moving as your (Ms. Carther’s)”. It is such magnanimity of nature which makes Fitzgerald not only a great writer but a likeable man in spite of all his failings. His letters to Ms. Fraces Scott Fitzgerald, his beloved daughter Scotty, in those gray days in August, 1933, as she was twelve years old. A loving father, he gives great advices to Scotty, telling her not to worry about popular opinion, or dolls or past or future. There is friendly, very charming father-daughter banter when Scott Fitzgerald threatens naming her Egg in return of her calling him Pappy. His affection for Scottie is profound, where he deliberates deeply on the future for her in the letter to Rosalind referred above. By 1935, he was trying to get over his infamous alcoholism, struggling with ever-failing health of Zelda. He tries hard to be a stern, disciplinarian father, in the throes of desperation, knowing that life was failing him. He loves her, adores her but still wants to keep her in discipline and tells her, “you are an only child, but that doesn’t give you any right to impose on that fact”; advises her to inculcate a scientific bend of mind, study calculus and geometry. His love for her is most profound when he writes to CO Kalman about Scottie that “I want to bring Scottie …and seeing her, you will see how much I still have to live for, in spite of a year in a slough of despond.” He advises her many thing, parenting in absentia, many things which even today makes sense, for instance, to keep her scholastic head above the extra-curricular activities, or not very surprising advise on writing, telling her, ”A good style simply doesn't form unless you absorb half a dozen top flight authors every year." He is in the throes of sadness, but like Gatsby, he still feels it is possible to keep love alive when everything else is morbid and dying around you. He writes to Zelda, in 1938, “Oh Zelda, this was to have been such a cold letter, but I don’t feel that way about you. Once we were one person and always it will be little that way.” He hoped still. I wonder if he whispered to himself in the solitary nights as he wrote his last and unfinished “The Love of Last Tycoon” those immortal words of Gatsby, “..the orgastic future that year by year recedes before us. It eluded us then, but then that’s no matter, to-morrow we will run faster, stretch our arms further..and one fine morning..”. One cannot but feel the loss at the death of such a great writer at the early age of 44 and one cannot look at the great body of art that the skillful writer produced in such short span.